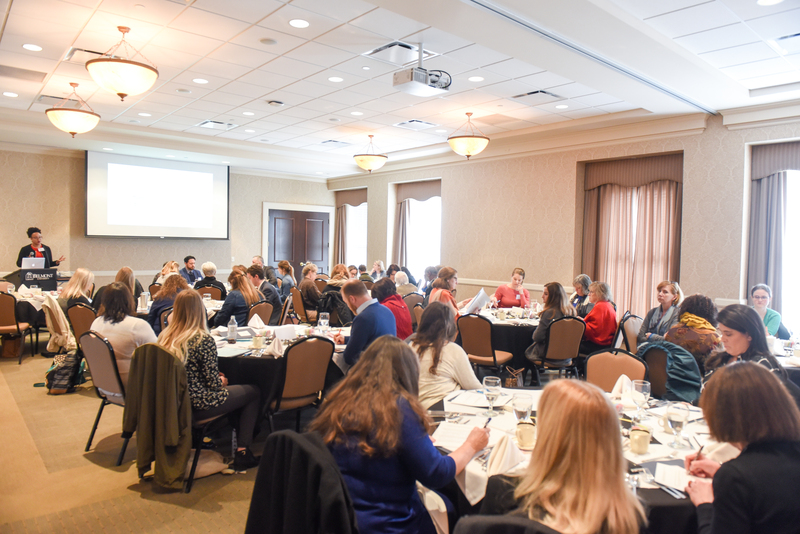 Belmont’s College of Health Sciences and Nursing recently hosted a Stakeholder Summit on campus to support the College’s Adverse Childhood Experiences (ACEs) grant. Received from the Tennessee Department of Children’s Services, the grant provides funding for the development of three undergraduate educational modules for nursing, public health and social work students. The Summit was held to survey area stakeholders on current gaps and recommendations for developing these modules. Speakers included the Deputy Commissioner Dr. Michael Warren from the State Health Department, Chief Medical Officer for HRSA/MCHB Dr. Aaron Lopata and Director of Community Development and Planning at Metro Health Department Tracy Buck. In addition to speakers, the event included opportunities for attendees to identify ACE topics to be included in Belmont’s new Educating Trauma Information Professionals Project. This project addresses the need to improve professional practices and promotes cross-fertilization among professions that touch children and families during sensitive periods of development and beyond. With no standard trauma-information care education model for undergraduates available, Belmont’s program seeks to create programming for health science students and identify and address knowledge and training needs among recent graduates and practicing professionals.